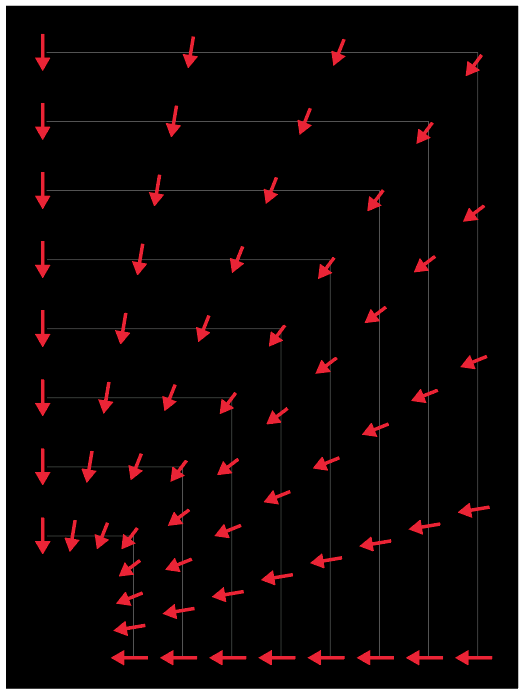 Hey folks, just whipped this up in Illustrator manually, but looking to do it on a much larger scale. Anyone have an idea as to how to automate this process or have a script that does somethin like it? Thanks! Also, here's how I did it — is there an easier way in general? 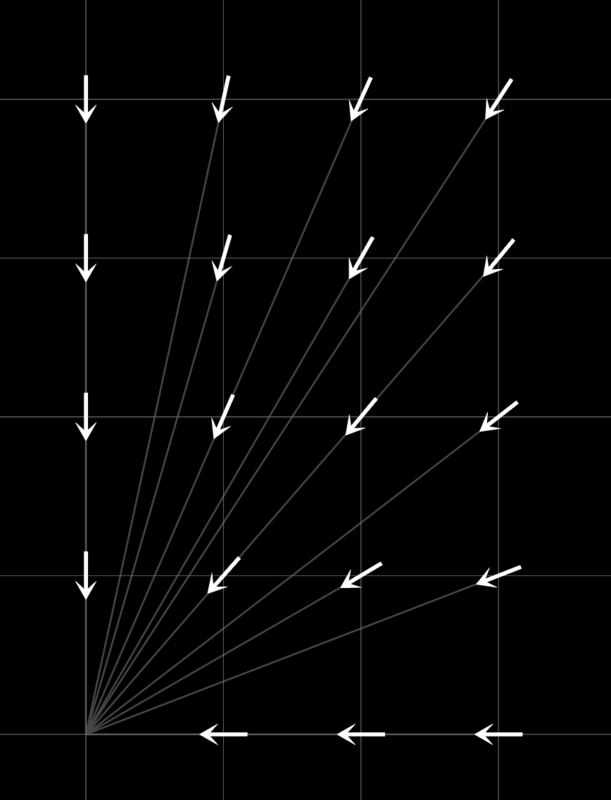 There's a great script - Rotate Toward Point by Hiroyuki Sato. The script rotates the objects in the selection toward the center of the foreground object. Make sure to place the "selected" object (the one you want rotated towards) on the top. You just select everything and run the script. 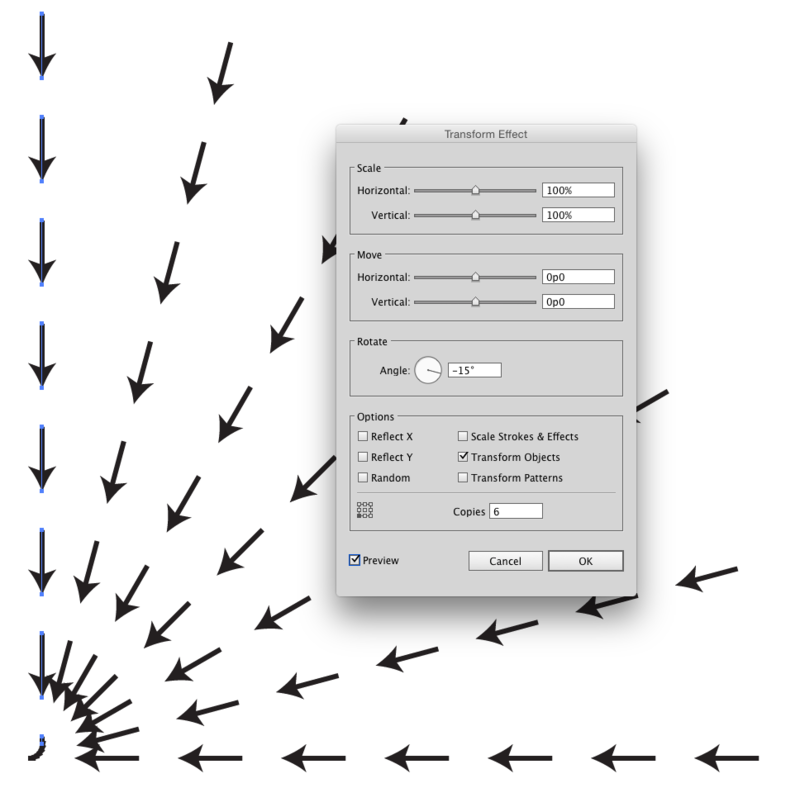 // rotates the objects in the selection toward the center of the foreround object. // USAGE: select the objects and run this script. // This script is distributed under the MIT License. // See the LICENSE file for details. // gets the center of the foreground object. 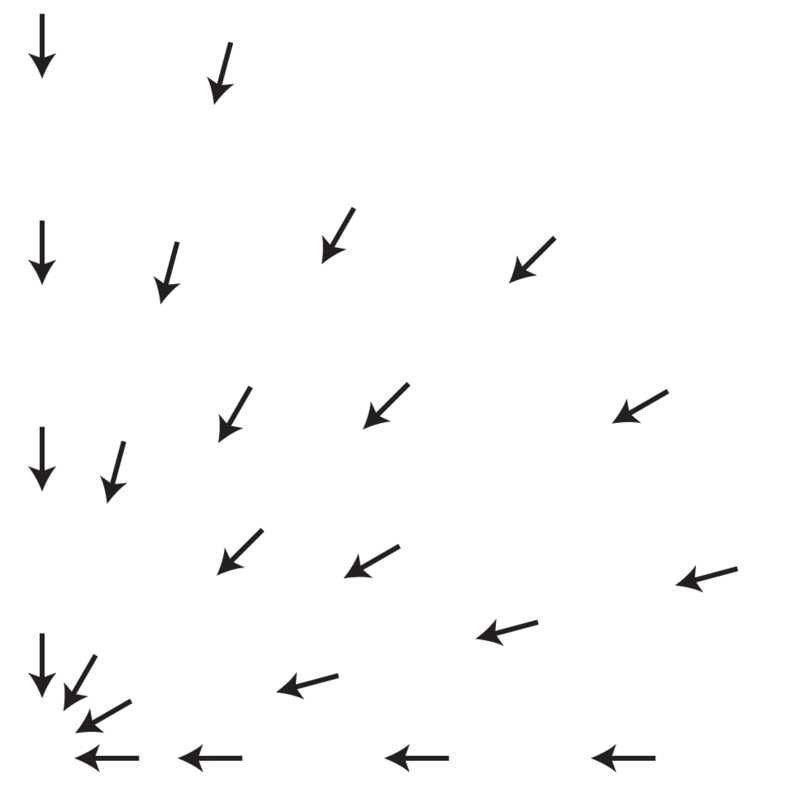 // the other objects are rotated toward this point. The nice thing about using this script, is that you don't need to expand anything (non destructive). If you used a brush stroke you can easily change it later to a different one if needed. 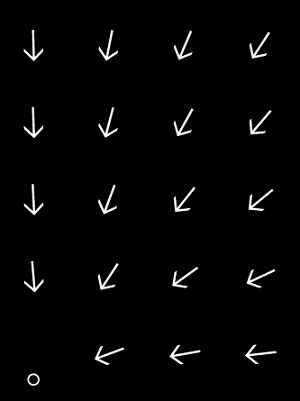 Draw a vertical row of arrows. 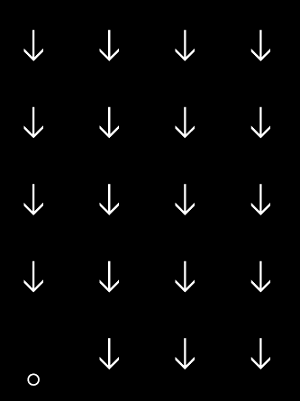 The bottom dot is used as a rotation point. Then add the amount of negative degrees you want in the Angle field and the number of copies you want in the Copies field. Click Okay. Choose Object > Expand Appearance, then Object > Ungroup (twice), and delete what you don't want. 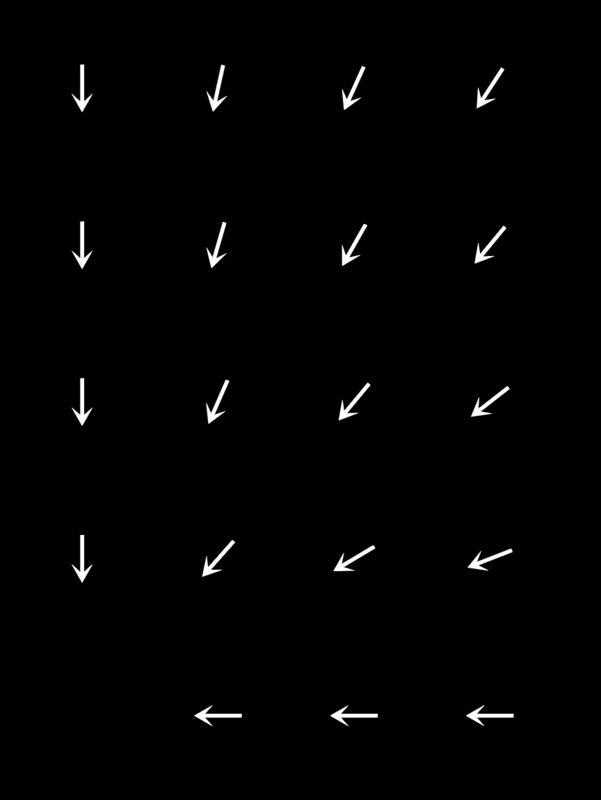 If you know you want 8 angles of arrows within a 90° section, then you can insert 360/32 into the Angle field, then insert 8 in the Copies field. 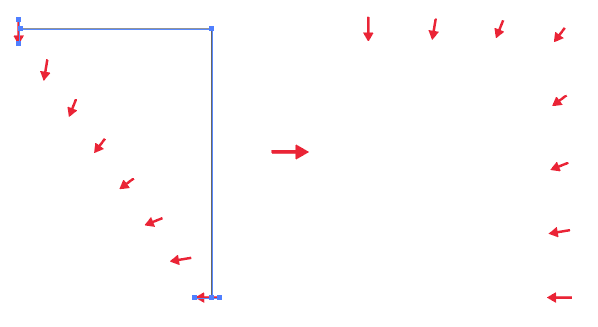 Illustrator will calculate the angle degree to fit 8 copies in one quadrant of the circle. Tab out of the Angel field, then go back and just add a minus (-) sign in front of the angle to get them to rotate right. Not the answer you're looking for? Browse other questions tagged adobe-illustrator vector illustrator-scripting or ask your own question. Cleaning up messy corner lines? 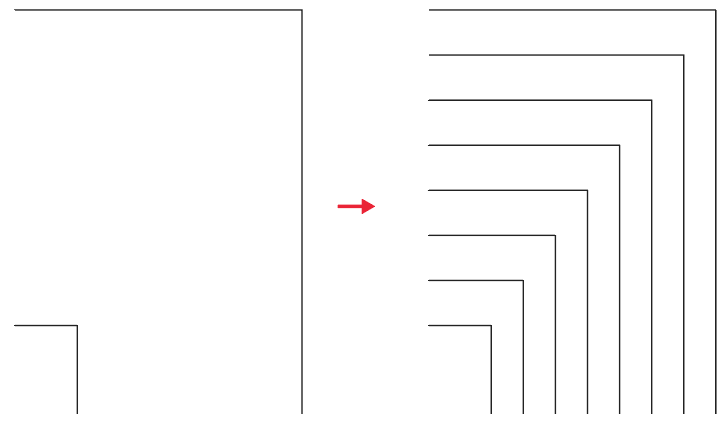 Uniform Scaling a Grouped Object, Shapes Move Out of Place or Distort. How can I fix this? Circular logarithmic scale made with AI, how? 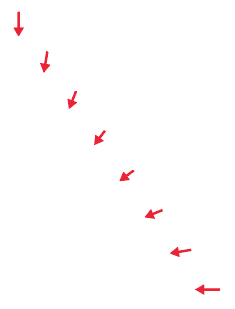 How can I get a count of the amount of colors used in an Illustrator document?